The RMS Titanic struck an iceberg at 11:40 pm on the night of April 14, 1912. Thousands of gallons of water entered the ship, and within a few minutes, there was a noticeable list that Thomas Andrews noticed and reported to both Captain Smith and Bruce Ismay. The situation was dire, and the designer of Titanic informed the two men that very soon, in about an hour to an hour and a half, the most famous ship in the world was going to be at the bottom of the North Atlantic. The most important objectives those men had that fateful night was to get the women and children into the lifeboats, and to make sure that there was absolutely no panic. However, as the women and children came on deck, and began to enter the lifeboats, they spotted a light on the horizon. Was there a ship out there that could come to Titanic’s rescue? 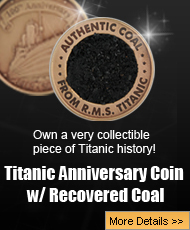 Many people that were standing on the sloping decks of the RMS Titanic were looking around for anything that could help them. When they looked to the horizon, they saw a light that could only come from another ship. While survivors testified that it was the Californian that was ignoring rockets, the officers that were on duty that night claim that there was indeed another ship that was between the two ships. Who was this mystery ship? 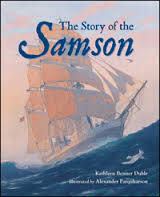 There are many theories as to who this mystery ship was, and the name that has come up more than once was a Norwegian sailing ship called the Samson. Supposedly, the Samson was in the area, hunting seals that called the bigger icebergs their home, which is considered poaching and illegal. When the Titanic started to go down, the orders were given for rockets to be shot off to get the attention of the ship on the horizon so they could render aide. Legend has it that when the crew of the Samson realized that the Titanic was so close, and firing rockets, they thought they were going to get caught and decided to leave the area before it was discovered exactly what they were doing. Even Captain Stanley Lord, who was captain of the Californian, claimed that there was another ship in the area, and the rockets he saw might have been Titanic trying to contact that other ship, or they were just talking to one another via rockets and Morse lamps. Because of the testimony of Stanley Lord, and his crew, about the mystery ship, many researchers have looked for the existence of the mystery ship or tried to find out exactly where the Samson was the night the Titanic sank. After much diligent and painstaking research, researchers were finally able to figure out exactly where the Samson was. 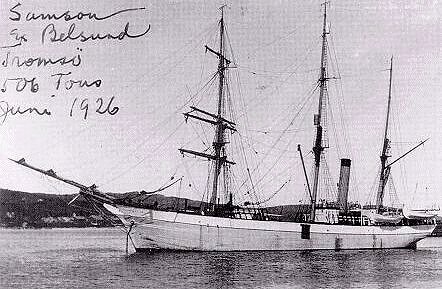 On the night of April 14th, 1912, the Samson was not the third mystery ship because she was actually at a port in Iceland. The Samson was in port due to having repair work done. Also, even if the records of the Samson were incorrect about the repair work, the distance between Iceland and the Titanic’s location was simply too far apart for the ship to have made the journey. 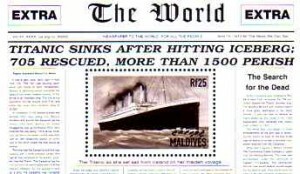 Though even with the overwhelming evidence, and the records that show where the Samson was on the night the Titanic sank, there are still some people who do not believe it. Captain Stanley Lord was not guilty of negligence because he and his crew thought that the men on the Samson were communicating with the stricken ship and that everything was fine between them despite the rockets going off overhead. However, the fact is that there was no third ship between Titanic and the Californian that night, and both Lord and his men were guilty of ignoring rockets of distress. The debate is going to continue about whether or not there was a third ship between Titanic and Californian, and some people may even continue to search for it, but the fact is that there is no proof of any ship existing. What happened the night the world’s greatest ship went down is still something that people are fascinated by, and will continue to study for probably the rest of their lives. Though some questions about that night have been answered, some never will be, but the search for answers will never stop, which will keep both the Titanic and her legacy alive forever.